Your herb and vegetable gardens are probably winding down for the fall, but there’s one type of fresh produce you can grow year-round without any expensive equipment or even a green thumb: sprouts! Growing your own sprouts is easier than you think and if you love putting sprouts in your salads and sandwiches, you’ll save serious money growing them yourself. 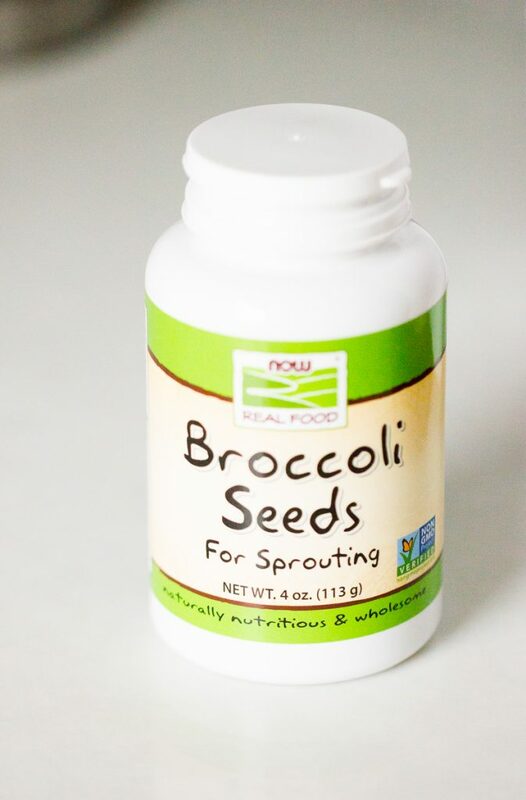 The process of sprouting seeds makes them easier on the digestive system, which means your body is better able to extract all the nutrients they contain. And they contain a lot of nutrients–protein, minerals like folate and magnesium, vitamins, and antioxidants. Because seeds pack in all the nutrients plants need to germinate, they are tiny nutritional powerhouses and sprouting is the best way to reap those benefits. What kind of seeds can be sprouted? So many! 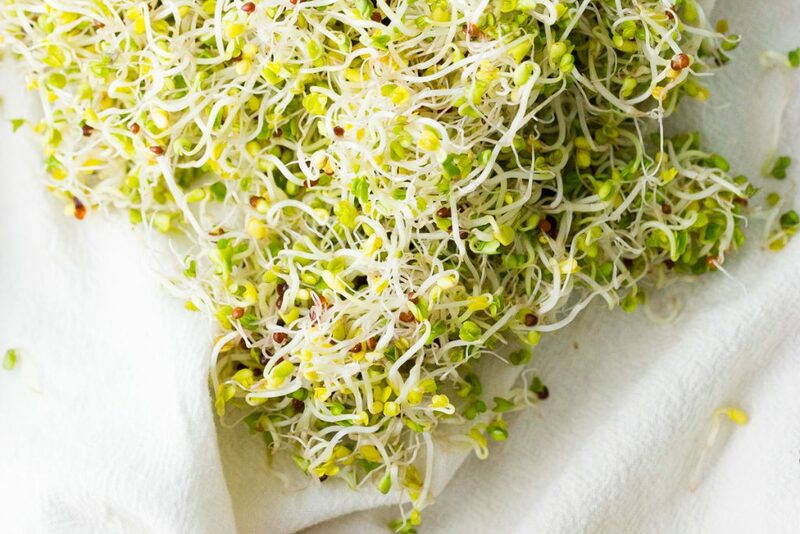 If you’re looking for the crunchy green sprouts to add to salads and sandwiches, try alfalfa, broccoli, fenugreek, mung bean, radish, red clover, sunflower and wheat seeds. You can also sprout nut, bean, and grain seeds for a short amount of time (about 12 hours or overnight) to make them more easily digestible before cooking with them or grinding them into a flour. This is how sprouted breads and baked goods are made. How do you grow your own sprouts? 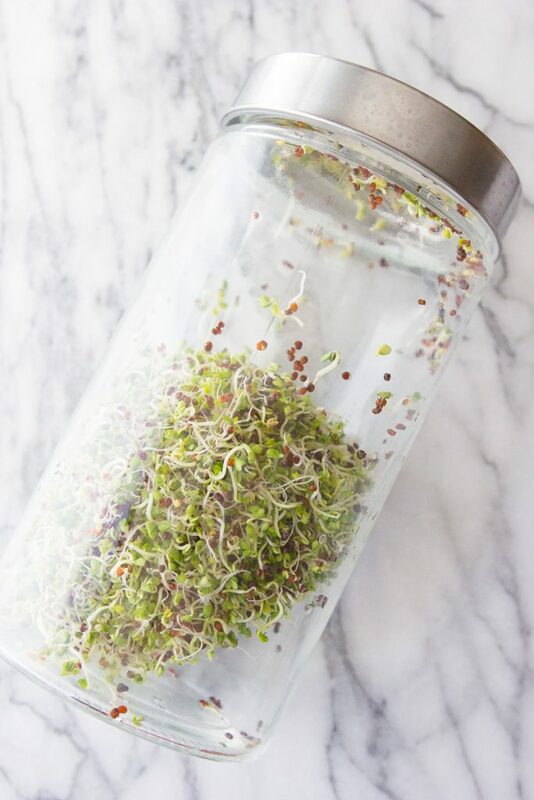 All you really need to grow your own sprouts at home is a mason jar, cheesecloth, a rubber band, and, of course, seeds. However! If you plan to grow a lot of sprouts, you might want to upgrade your setup and purchase a sprouting lid, which is made with mesh that lets air circulate and water drain out. I use NOW Foods’ sprouting jar. Instructions for individual seeds vary; I’ve found that Sprout People has the best, most detailed growing guides. 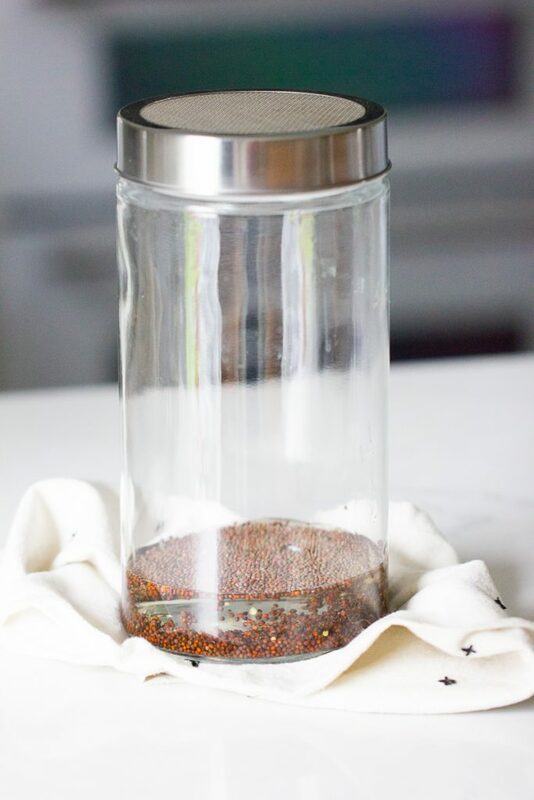 Typically, you’ll soak the seeds overnight, drain them and give them a good rinse, then leave them in a dark place for a few days, continuing to rinse and drain every 8-12 hours. After a few days, place your sprouts in indirect sunlight; the leaves will develop chlorophyll and turn green. 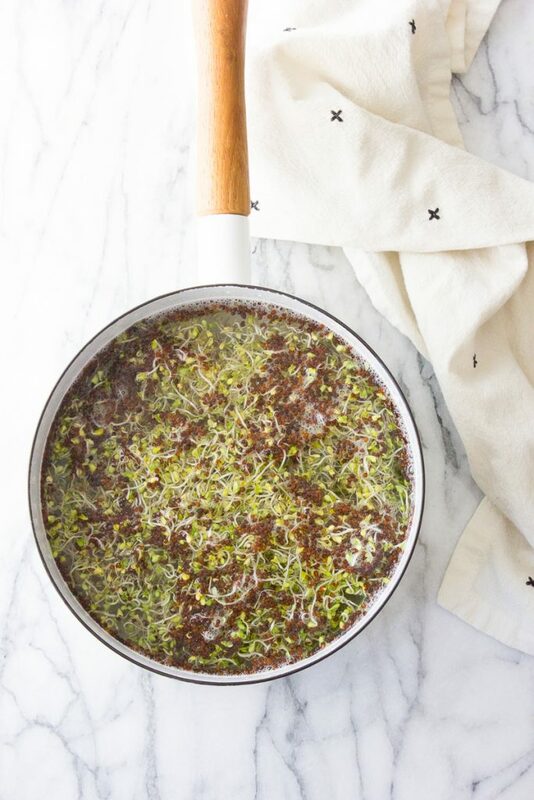 Soak the sprouts in a large bowl of water and agitate them gently so the seed hulls loosen and float to the top; skim the hulls off, then rinse the sprouts again, and drain well. Your sprouts are ready to eat! 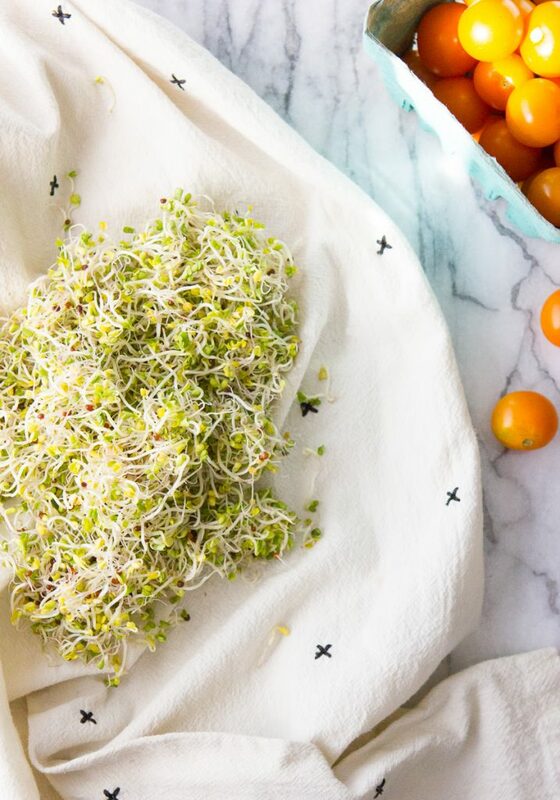 How do you store sprouts? Once the sprouts are completely dry, refrigerate them in a container or produce bag. Sprouts should be kept dry–they should never be slimy or waterlogged. Growing your own sprouts helps reduce a lot of the bacterial contamination risk seen with store-bought sprouts, but it’s still important to use common sense with them: always wash your hands before handling them, keep sprouts in the refrigerator, and throw them out if they smell off or get slimy. Depending on the variety, sprouts can keep up to 6 weeks in the fridge as long as they’re stored and handled properly.